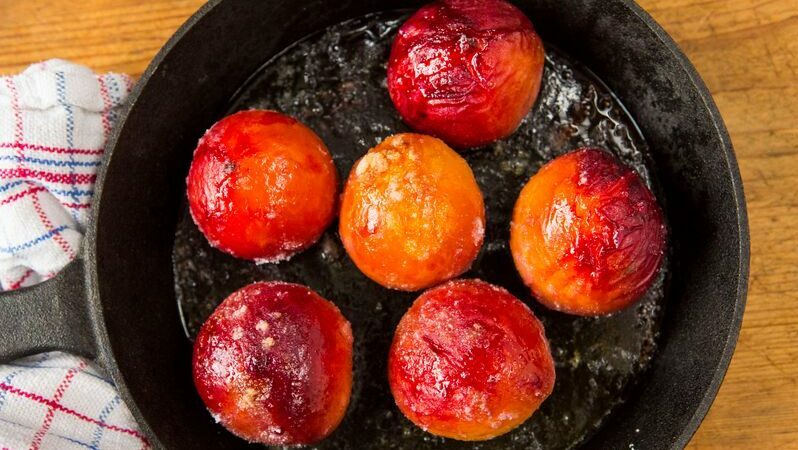 These Roasted peaches in orange syrup, whether it’s in an oven or over a barbecue, intensifies their flavour in a way that can’t be beaten. Take advantage of fresh stone fruit in season and treat yourself this this quick and tasty dessert! RUB the butter over the peaches and coat them in sugar. Place in a baking dish and cook in the oven for 30 mins. PUT 8 tablespoons of sugar and orange juice in a small pan. Bring to the boil until it thickens and begins to froth. TURN of the heat and allow the syrup to continue to cool & thicken. SERVE the peaches drizzled with the syrup.